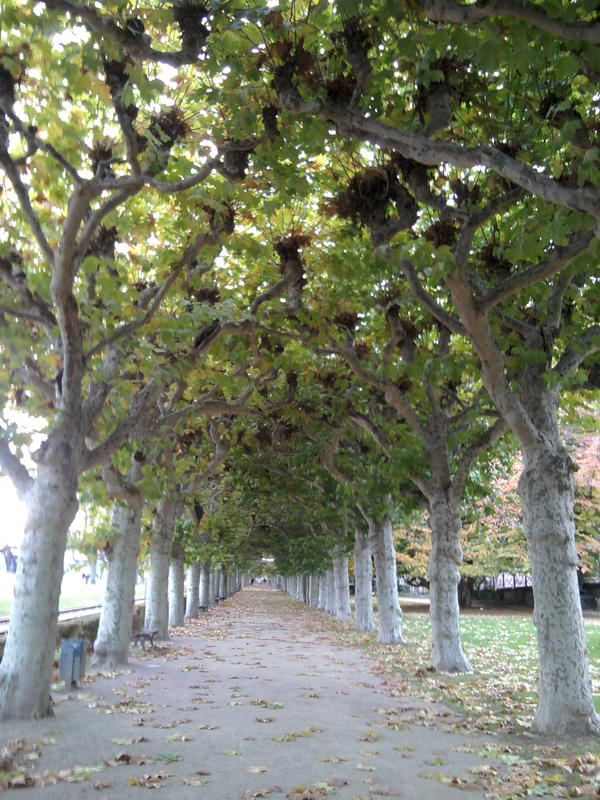 Thank you to Lin I. for the photograph of the pollarded planetree allee along a stretch of the Main River in Frankfurt. They were planted alongside the Main River in Frankfurt. I was not sure what kind of tree they were (and made a note that I should ask my forester friend - Georgia) but they were beautiful. I loved walking underneath the canopy -- I felt transported to a different century.